Attic red-figure pelike. 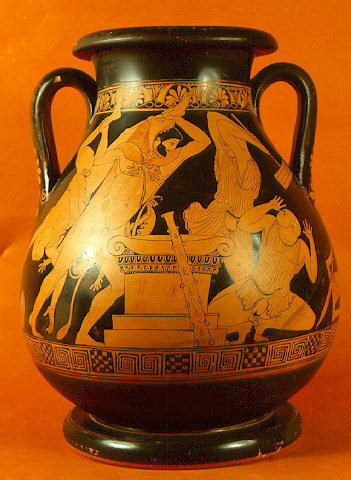 The painted representation depicts Herakles defeating king Vousiris and his servants in Egypt. It was found at Thespiae in Boeotia and it is the work of "Pan painter". Dated to ca. 470 B.C. Inv. no. 9683.